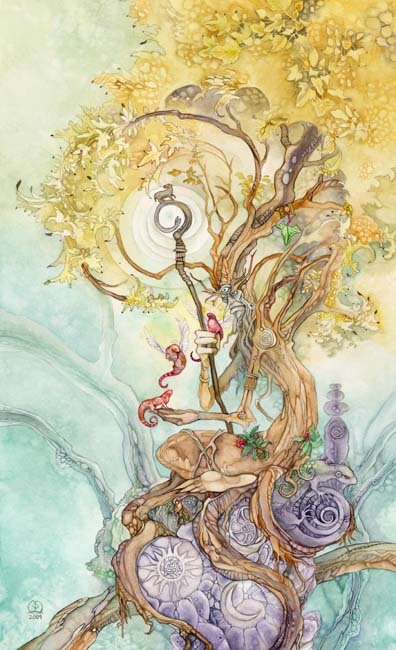 We all have the 10 of wands inside us, racing ahead, in time, towards the inevitable end of our mortal existence while fighting to keep alive- praying the wild ride is not over sooooo soon. Re-incarnation you ask? Honestly: Are YOU ready for it, RIGHT NOW! This minute? Or would you rather ride the red Horse of escape? Get the transplant, get the chemo, Not go on the Titanic, whom we all know, is doomed…..
Welcoming the end of the ride? We will be, some day, when life feels like pacing the mortal cage. When we are, we are, where the XIII is now. 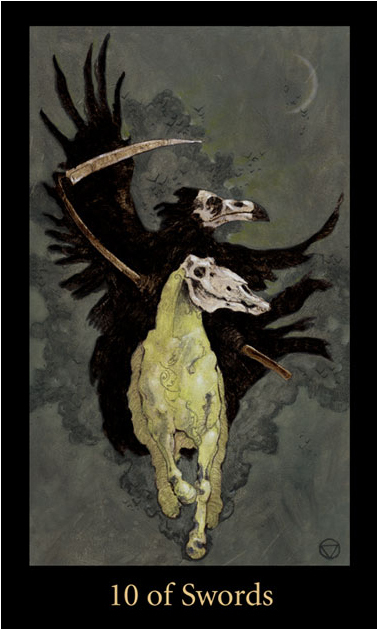 This card to me shows all our will to survive, our biological fear of death, the Death we carry inside us from the moment of conception. This would make a magnificent single Death card for any other deck! Is it the proverbial Grim Reaper or is it Morgana le Fey, out to collect the fallen soldiers from the battlefield? Is it us, you -or me getting up the gumption to take out the scythe and cut all the dross out of our lives? Piles of Tarot decks we do not relay use, oooold boyfriends, who-s kiss tastes stale, bosses bubbling caustic venom….. Al that…. It is ready to be cut of since quite a while. When you pull this card, will you dare to – – become the Grim Reaper yourself – and cut it? All of it! Quick, merciless and efficient…? So: What have I been up to in terms of Tarot during the last few weeks? I would have loved to just look at the deck and its intricate artwork, but read with it? But what a very pleasant surprise it was, when I held this little treasure in my hands: The detail in the artwork is amazing! Multitudes of small Spirits appear in every single card, emerging from the rocks, Trees, Plants and other background features, each single one drawn in detail and portraying a distinct character worthy of appearing on a card of its own. 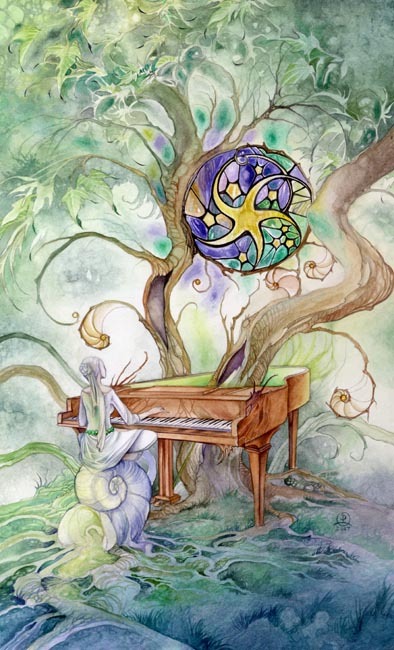 Musical instruments are woven into trees, rocks are made up out of Nautilus shells and fossilized Snails, Dragon horns and Earth fairy tails. Mystical Fibonacci Spiral designs are found in almost every card, formed by the tails of Foxes and Dragons, the roots and branches of Trees, and again rock formations. 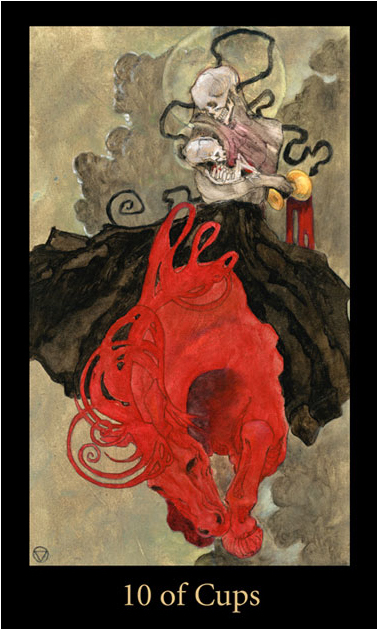 The 3 and 8 of Swords are exquisitely sad. Although there is a lot going on in each card I do not feel overwhelmed or as if being distracted. I am quite pleased, that I find it easy to read with it, for myself in daily draws and more importantly for others, who are looking for answers to their serious questions. Last night we had our monthly Longhouse meeting and the telling of legends is always a part of it. 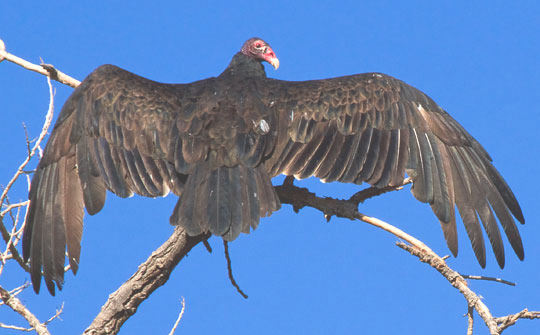 So this time the Sachem shared toe story of Buzzard (Vulture) getting his feathers with us. Along time ago the Birds had no clothing. They spoke like people, but they were shy and hid from sight. One day they decided to hold a great council. “We must go to Creator and ask him for clothing,” said Eagle. So it was decided. But who would carry the message? Many Birds volunteered, but finally they chose Buzzard. He could fly great distances because of his long wings, and he could soar higher than any of the other Birds and so come more easily aaaaal the way upto the sun-place, where Creator lived. 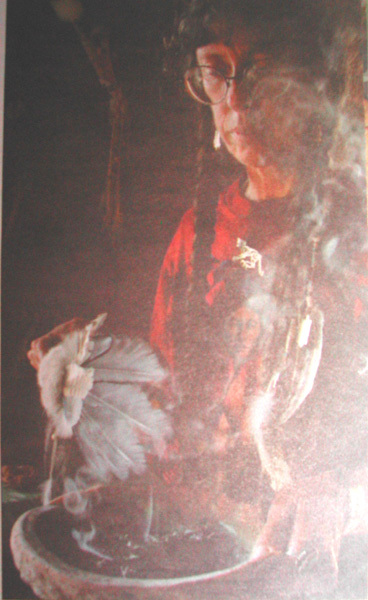 All of the Birds burned Tobacco and sent their prayers up to Creator, and then Buzzard set out on his way. It was a long journey. Buzzard flew and flew and flew. He ate the food he had carried with him and still he was far from the place of Creator. He became hungry, After a while, he was so hungry that he stopped and ate some dead Fish washed up on the shore below him. This Fish were rotten and smelled bad, but his hunger was great, and he did not mind. He continued on his way, he went higher and higher…. Now he was close to the Place of the Sun, the Creator’s home; It grew fiery hot from the sun, but still he flew up and up. The skin on top of his naked head burned red in the sun’s heat, but at last he came to the place of Creator. Then he showed Buzzard the clothing he had prepared. It was fine indeed. There was a huuuuuge bag full of different feather suits. There were as many colors in the feathers as there are in the Rainbow Snake that arches across the sky after a rain, and the feathers shone so brightly that Buzzard had to turn his eyes away from them. He tried on a suit of bright blue and white feather with a jaunty cap. “No,” he said, taking it off, “not bright enough.” And so that suit fell down down down and all the way down on Mother Earth it was caught by the Blue Jay, who put it on right away and was VERY pleased. He tried on another suit of brilliant red and black with a tall crest. “No,” he said, “I do not look good in red.” And so that suit fell down down down and all the way down where it was caught by the Cardinal. He tried on another suit of gray and black with scarlet vest. Again he was not satisfied, and that go and it went to Robin. He put on a suit as yellow as the sun with hand some dark markings. “Too much black on this one,” he said, and that suit went to Goldfinch. Creator patiently watched Buzzard trying on one suit after another. None of them were quite right. buzzard did not listen. He kept trying on suits. Sometimes the feathers were too long. Sometimes they were not long enough. Some were too dark, others too light. None of them seemed to be just right for the messenger of all the Birds. Finally Buzzard put on a the very last suit of clothes that was on the bottom of the bag. It was scraggly looking with rather scruffy feathers that had no shine at all to them, just dull dark brown. It also was tooooo small for him! Although all of the other clothes had grown larger or smaller to magicly fit him, this last suit of feathers was very tight. The feathers were sooo lack-luster. Buzzard was not pleased. “This is the worst of all,” he said. Creator smiled. 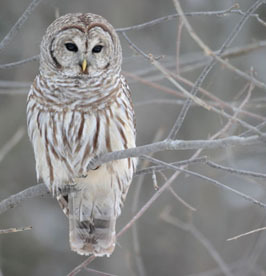 “Buzzard,” he said, “it is the only one, that is left…. was the only one who could make that long journey. his ill–fitting suit of feathers, he is sooooo proud .. I am divine abundance and I am going to take this abundance to the Gravenhurst Farmers’ Market and set it all up and share it with others. It is dark, rainy, and an icy North wind is blowing, as we set up. We struggggle with the tents and the sidewalls billowing in the gusts and knocking things over. But 30 years of experience helps and 90 minutes later we are done. It looks soooo nice and promising. 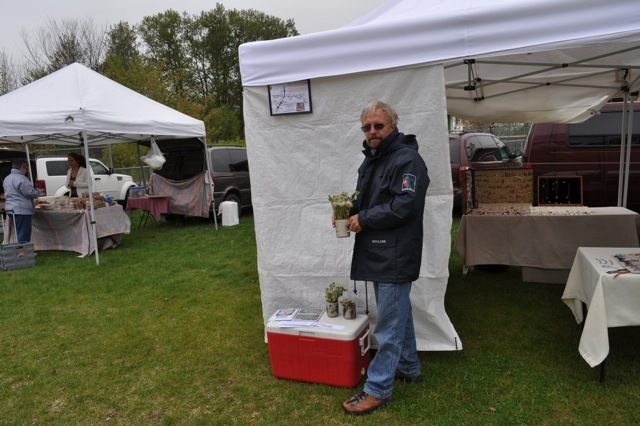 All the abundance set up in our tent and also in all the tents of our fellow vendors. Now we all stand there – and wait. In the cooooold wind. Peter shows of the few fresh Fiddle Heads he picked this morning. Nobody in his or her right mind is venturing out in this weather. The thermometer fell from 12degrees Centigrade at 8.00am to 7 degrees at 10.00am. It should be the other way round!!! It should get warmer!! A few hurried shoppers brace themselves against the wind and walk from tent to tent, checking out all the divine abundance and lucky for us, we have 2 customers. 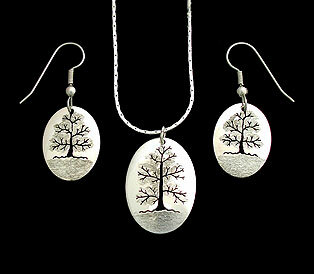 A pair of Tree earrings and a Sterling silver Bear on Deer antler find a home in the hearts of their new owners. Other vendors are not so lucky. The 2 lovely and talented ladies across from us sell nothing. I am wearing my winter jacket and have wrapped myself up in a sun-yellow wool blanket. Peter is asleep in our car. We are all waiting for the time to pass, that 2.00 pm arrives and we can pack up. At 1.00 it starts to drizzle. Hope to see you all at the Market then! 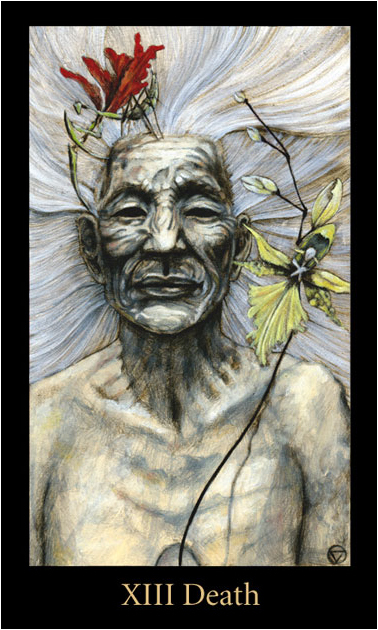 On my last foray into town I found a nice little deck of meditation cards in the Sally Anne: I am Divine, by Barbara Burke. or I am divine mind. 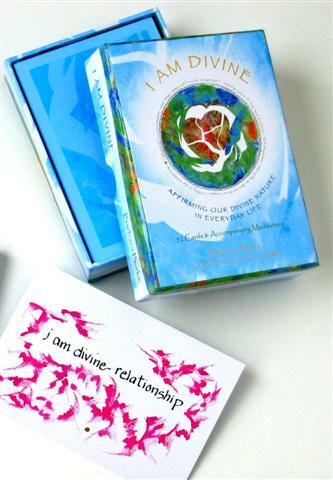 A little booklet accompanies the cards and elaborates on the affirmation. 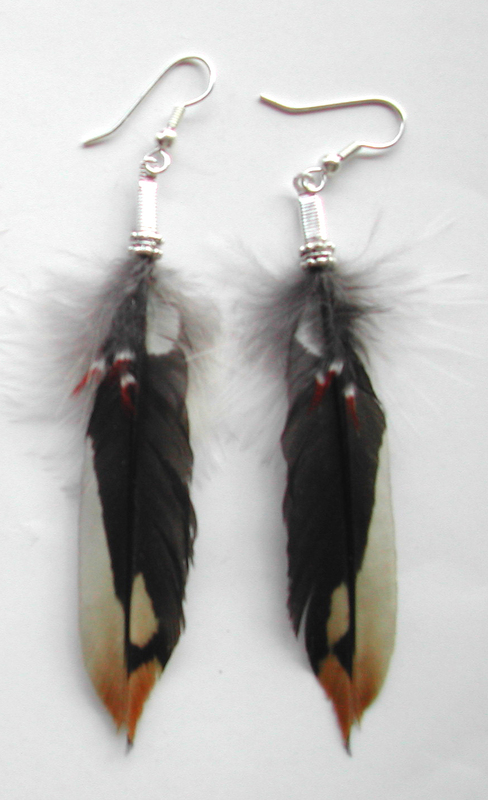 Today I kept my promise and made the first pairs of earrings from his feathers. 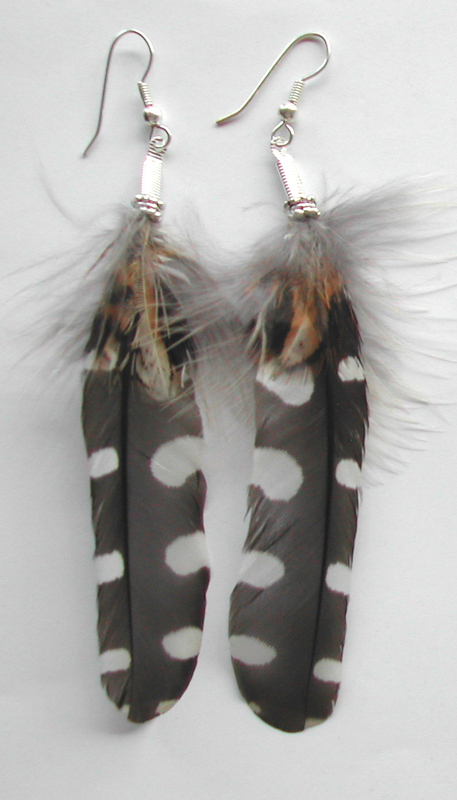 Hairy Woodpeckers have mostly spotted flight and tail feathers. Just one pair of tail feathers are different: the ones the Bird uses as “struts” to balance and stabilize his body while he is pecking into tree trunks. The tiny red feathers are from the back of his head. A friend of mine has a very special spiritual connection to Woodpeckers. She will receive one of these pairs. A Totem is a Clan Guardian, NOT a personal Spirit guide!!!! Clan Guardian or Totem Animal and a personal Spirit Guide. If you are a person from a traditional =indigenous culture, in all likelihood you and all your family members have a Clan Guardian, a spiritual entity independent of your personal Guardians and Guides. If your family is patrilineal all kids have dad’s Clan, mom however has a different Clan. All the different Clans have a long history, certain rites, maybe ceremonies and also certain responsibilities towards the other Clans in the web of the tribal community. As a member of the Clan these responsibilities are your’s as well. You can not marry a person from the same Clan as your own = dad’s Clan. In some tribes, you can not marry a person of your mother’s Clan either. That taboo also goes for a person from a Clan that is of a different people but has the same Clan Totem = Animal or Plant Guardian. For example: I am a member of the Wolf Clan of our Siberian tribe. BUT ALL members of all Wolf Clans everywhere are my family members and so I could not marry another member of the Wolf Clan of the Haudenosaunee or any other Wolf Clan anywhere on Mother Earth. The Haudenosaunee Clan system is matrilineal but still!!!! 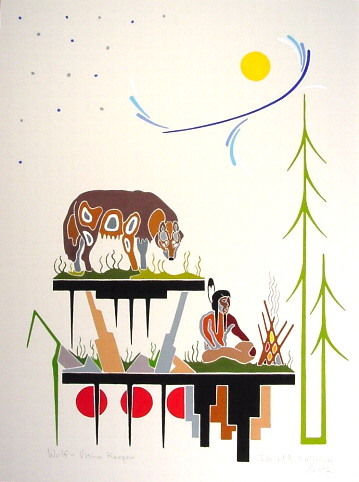 From my maternal Grandmother and her female ancestors I am an Usari = Bear Clan so I sit with the Bear Clan people of the Longhouse, because they are matrilineal. 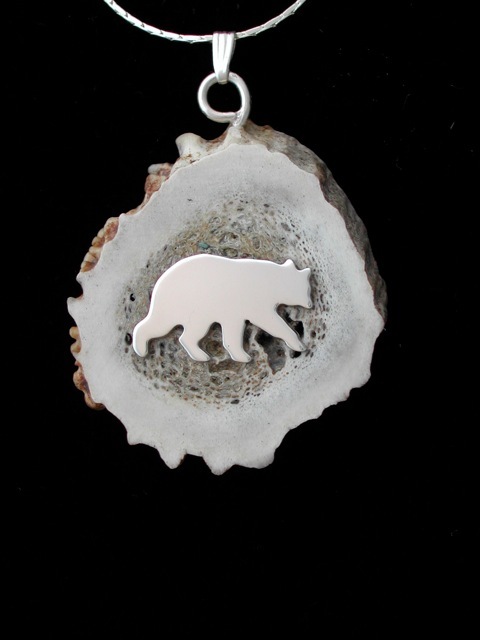 Bear is their Totem = another word in Algonquin language for Clan Guardian. 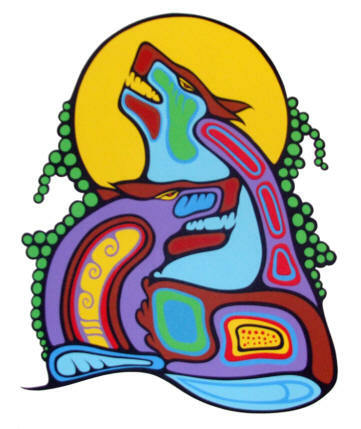 BUT iffff then a none First Nation person comes and tells anyone of us about their Wolf – or Bear or Mouse Totem – or whatever they feel their “Totem” is or has appeared to them, we all get offended. It is NOT their Totem, unless they are Wolf -or Mouse Clan! But for them – or you to use the word Totem is wrong and insensitive. For some people it is even quite insulting. People using the word totem indiscriminately are becoming “bad weather” right then and there!! !